Those fabrics are gorgeous! Looking forward to seeing your progress! 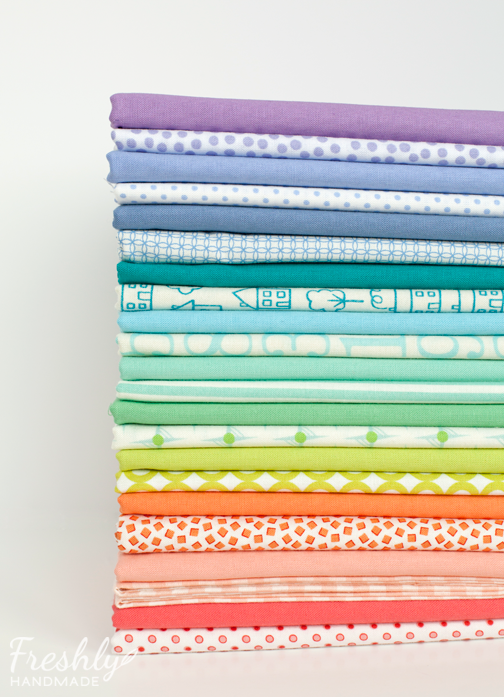 That's a gorgeous pile of fabrics! I pinned it for inspiration! Those color charts are handy, too. Oooh, I love this! Can't wait to see the final quilt! Lovely blog. I came over from jan at sew and sow farm. I added you to my bloglovin list. I'll be back. I absolutely love those colours - are you able to tell us which Kona colours they are? And the names of the prints? Beautiful colors! Can't wait to see your project you make with them!